Some of the data tonight is suggesting the storm for Thursday and Friday may track slightly south of what the models had suggested before. 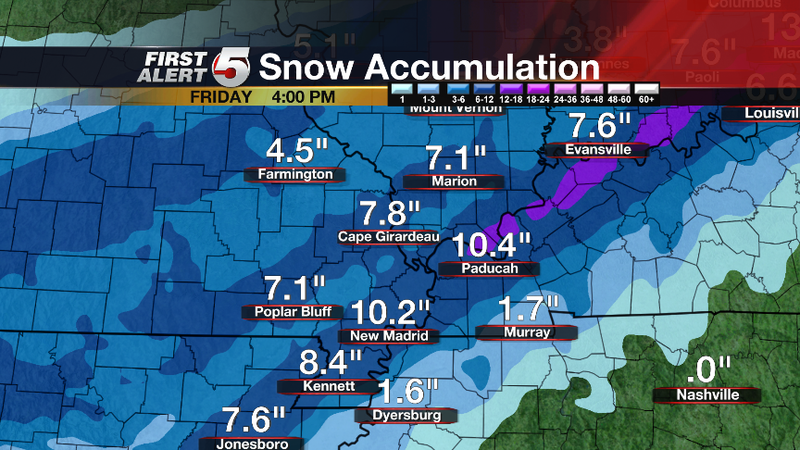 Both the NAM and the RPM computer models are hinting at that. I haven't completely bought in to that just yet. I want to see what some of the other models decide to do tonight. The slight jog to the south greatly affects numbers for both snow and sleet/snow accumulation. That is why you often hear meteorologists say "If the storm moves 50 miles one way or the other it can make a difference." 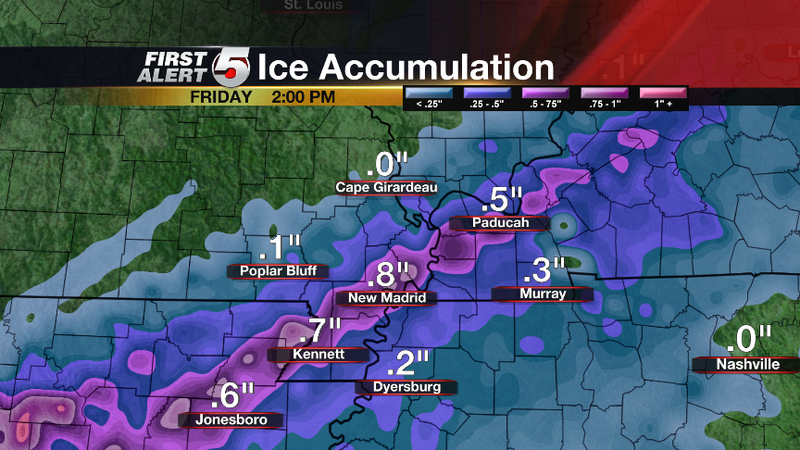 Here is what the evening run of the RPM (0z) computer is suggesting for ice/sleet accumulation and snow accumulation. As of now I am not tweaking my numbers just yet. 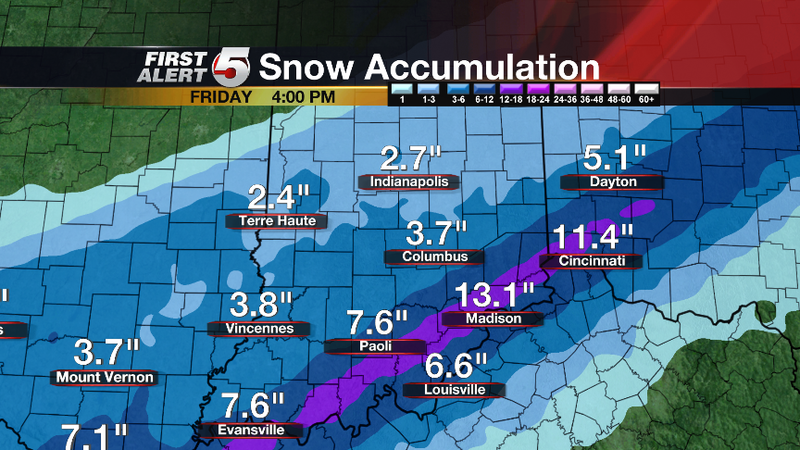 However, don't be surprised to see the numbers change tomorrow as more data becomes available. 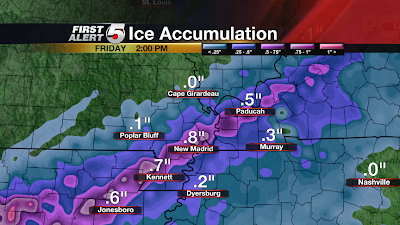 0z RPM Ice Accumulation through Friday afternoon. 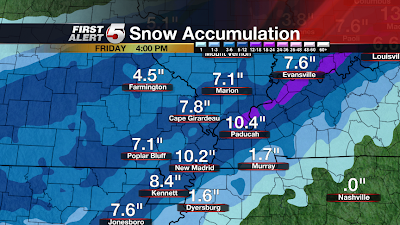 0z RPM Snow Accumulation through Friday afternoon. This will be my last update for tonight. I'll look at the data in the morning and hopefully have something posted by early afternoon.